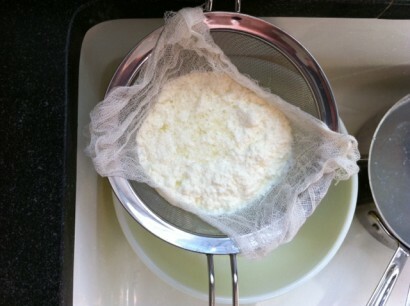 Today I made the simplest recipe for farmer’s cheese from the Fabulous Beekman Boys. If you have been reading along on my posts, you know that I really like the Beekman Boys. If you haven’t, I urge you to pick up Josh Kilmer-Purcell’s memoir The Bucolic Plague to hear their story. An easy recipe from them was a winning combination for me as I really like cooking with instant gratification and pretty much all things Josh and Brent. I love good cheese. This is very, good cheese! 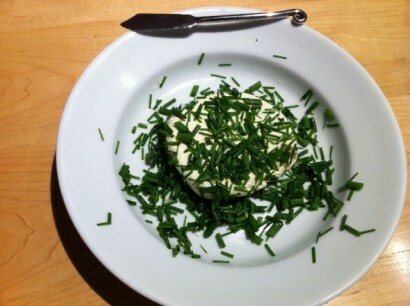 I coated it with fresh organic chives from my garden. 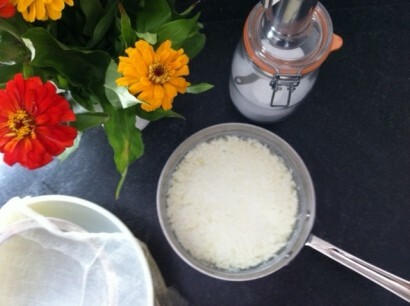 It is easy, fast and delicious. Perfect for dinner tonight with an arugula salad, crusty bread and a glass of Albarino.